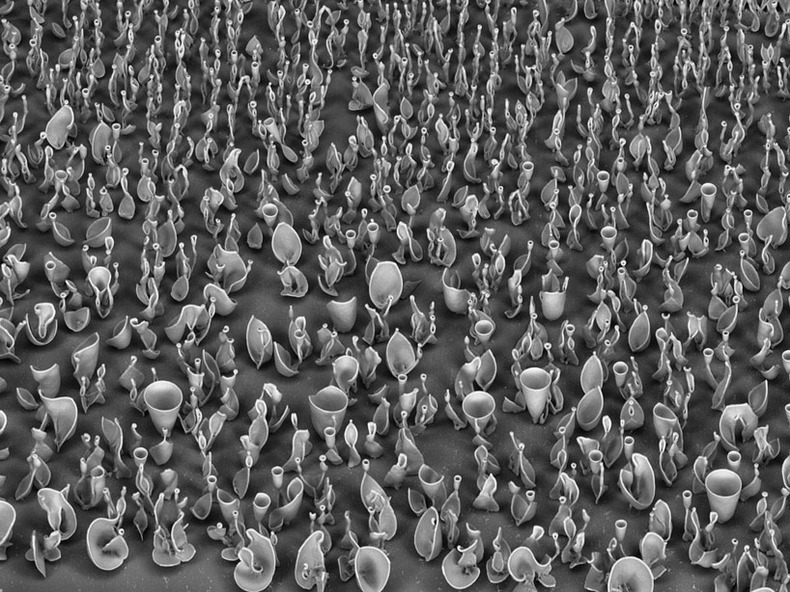 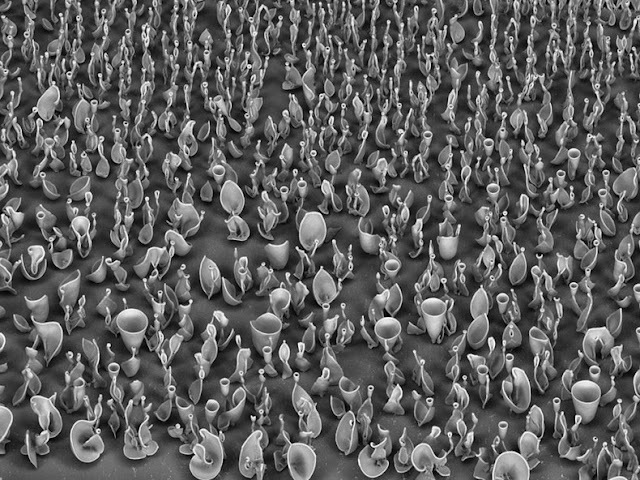 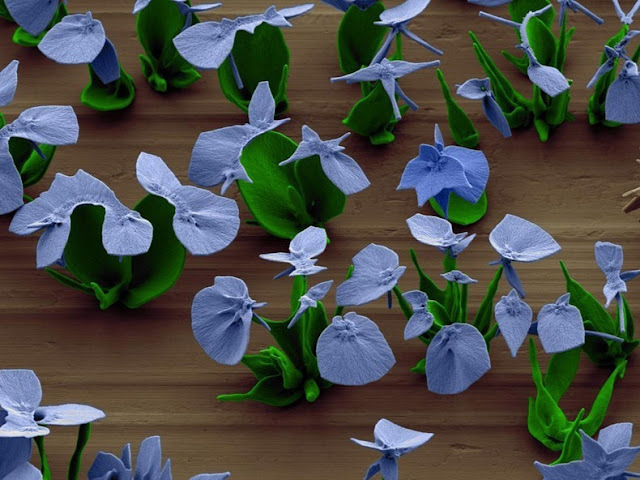 Researchers at the Harvard School of Engineering and Applied Sciences have found a way to shape microscopic crystals into complex and beautiful structures. Project leader Wim L. Noorduin and his colleagues were able to modify the growth of the crystals through tiny chemical alterations of a fluid containing water, liquid glass, and the salt barium chloride. 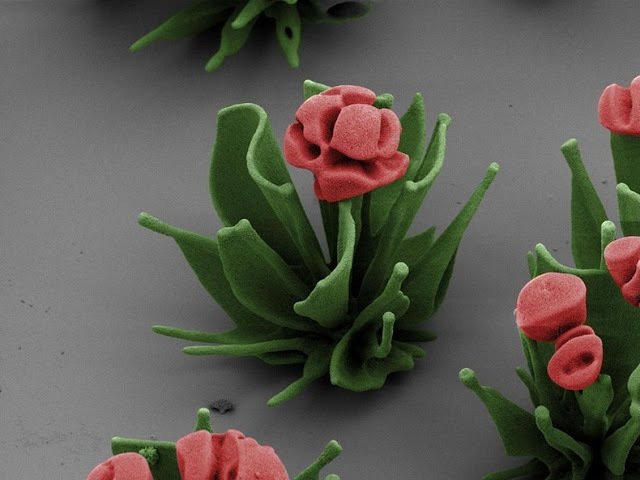 Carbon dioxide from the air dissolved into the solution set off a reaction that caused barium carbonate crystals to form. 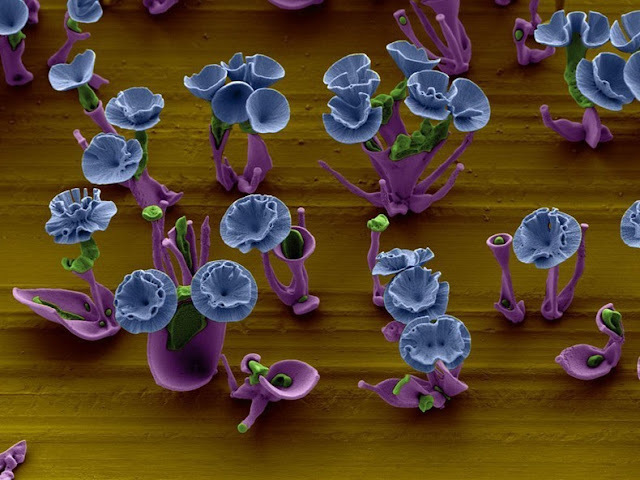 This caused the pH of the water surrounding the crystals to get lower, which in turn caused the dissolved sodium silicate to form into a layer of silica on them, thus extending their growth process. 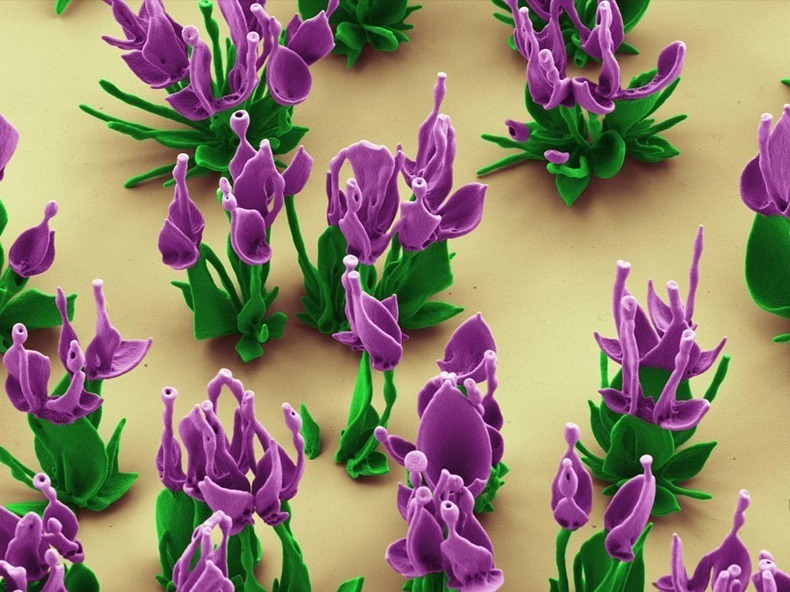 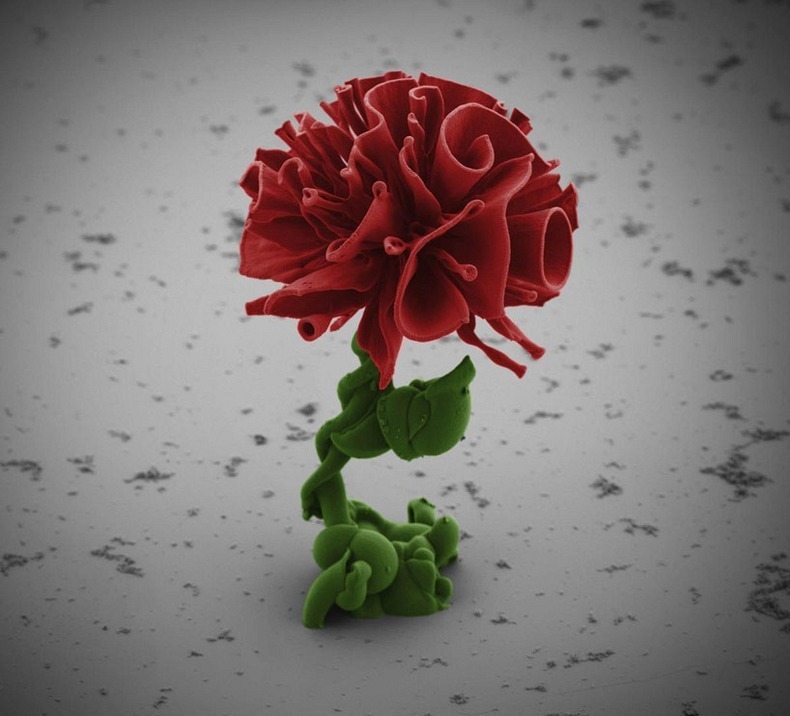 9 responses to "Researcher Grows Microscopic Flowers"